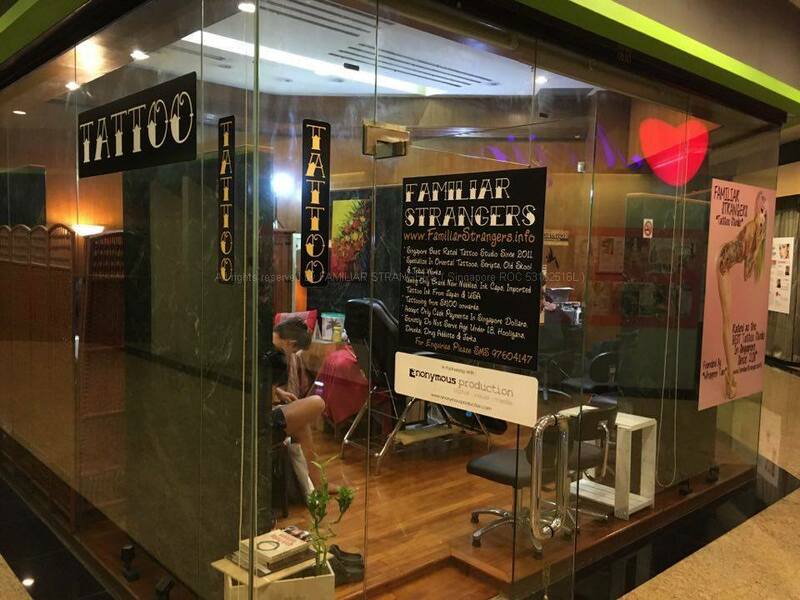 FAMILIAR STRANGERS - Best Rated Tattoo Studio in Singapore - Quality Tattoos from a Singapore Tattoo Studio - Home Singapore Tattoo, Familiar Strangers, Tattoos, Singapore, Best, Art, Tattoo, Studio, Shop, Parlor, Custom Design, Female, Tattoo Artist, Forum, Tattooist, Price, Cost. FAMILIAR STRANGERS Tattoo Studio (Singapore), established in 2009 has been one of the Best Rated Tattoo Studio in Singapore since 2011. It’s run by Founder : Whopper Tan, with Resident Tattooists : Tommy, Joey & Savin. Our humble studio has been running for nearly a decade, serving everyone with a sense of passion, sincerity and hospitality. We are not just here for the money, we care for all of our clients. We give our clients wholehearted advise to help them make the best decision for each individual tattoo. Using clean and sterile equipment, we make quality tattoos that last a lifetime. Our friendly and experienced team is made up of talented Male and Female tattooists, capable of producing just about every style of tattoos. We specialize in Japanese & Oriental Tattoos, Polynesian Samoan & Maori Tribal Tattoos, Black & Grey works, American Traditional Tattoos, Realism Tattoo, Animal Portraits, Neo Traditional Tattoos and Script Font Tattoos. From a small word tattoo on the wrist to a Japanese Irezumi body suit, we do it all. Our tattoo pricing / cost starts from $120 (Singapore Dollars) and our consultation sessions are free of charge. Do check out our Tattoo Gallery and feel free to contact us for Enquiries / Quotations or simply Walk-in to get your tattoo done. * We strictly do not serve age under 18, hooligans, drunks, drug addicts & jerks. We also reserved the rights to refuse service to anyone we deemed inappropriate. 2018, expatliving.sg (All you need to know about tattoos in Singapore). 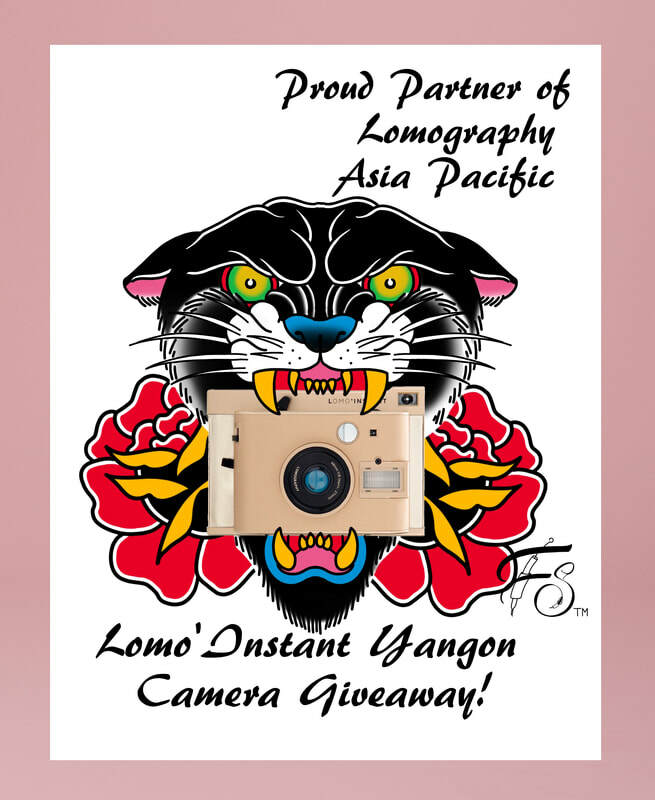 2018, Lomography Asia Pacific (Lomo'Instant Yangon camera giveaway contest). 2017, expatliving.sg (20 tattoo shops for your next ink). 2016, citynomads.com (Best parlours and shops for getting inked). 2016, tallypress.com (Singapore’s top 10 tattoo studios). 2015, thesmartlocal.com (Tattoo artist of Singapore and questions you’ve always wanted to ask them). 2015, Nanyang polytechnic campus TV ( Featured programme). 2015, Scoot Airline ( SG50 Garang Tattoo Challenge). 2014, Channel News Asia ( Programme/ Interview). 2014, Tiger Airways, Tiger Tales in-flight magazine (Eye of the needle). 2011, expatliving.sg (The eight best ink shops). 2011, thebestsingapore.com (The 5 best tattoo studios in Singapore). We stand behind our works, if any client is not 100% satisfied with his/her tattoo done by our resident tattooists, we will redo it free of charge. We are charging our clients the best possible rates (Sadly not the cheapest in Singapore). But certainly well-worth for the quality tattoos and service received, not to mention it is done in a sterilized and cosy environment. There are thousands of tattoo designs in our studio for you to reference from. If you can’t find any designs that suits you, we can create a customised tattoo for you at a small fee. We use only brand new single-use tattoo needles and ink caps.. All other tattooing equipments are sterilized before and after tattooing for anybody. We are using Kuro Sumi Tattoo Ink (Imported from Japan), Eternal Tattoo Ink (Imported from USA) and Intenze Tattoo Ink (Imported from USA). These three brands of inks are renown for staying bright and bold for many years. Our consultation sessions are free of charge. Our minimum tattoo charge is S$120. A4 size tattoo cost S$600 onwards. Price of tattoo depends on the size of the tattoo and difficulty of the design, the bigger the tattoo and the nicer you treat us the more discount will be given ! Tattooist Tommy Seow (Tattoing since 2014), well-loved by our female clientele for her approachable and soft spoken personality. Her Minimalistic and Feminine tattoos have won praises from female clients while her Maori / Polynesian style and Oriental tattoos have a good following among our male clients. Tattooist Joey Ong (Tattooing since 2002), a friendly realism artist that comes a long way. Constantly wowing clients with his smooth black & grey Darkside, Animal Portraits, Realism Flora and Custom Works. Tattooist Savin (Tattooing since 2014), a sociable, well travelled and well rounded artist. His American traditional and Neo traditional works never fail to amaze clients in conventions and back home. His Japanese tattoos and Maori / Polynesian tattoos are also well liked by clients.